Iranian President Hassan Rohani has arrived in Rome on the first leg of a European tour, his first trip outside Iran since a nuclear deal with world powers took effect. Iranian entrepreneurs as well as the oil and gas minister and other government officials are accompanying Rohani on his five-day visit to Rome and Paris. The European Union (EU) is chomping at the bit to gain access to the Iranian “Bazaar” (a term that loosely translates as the commercial class, its markets, and the trade it conducts). Just weeks after the nuclear/economic deal with Iran was struck the EU began directly courting the bazaar, which has been closed to Europe for over 40 years. Previously, on 22 JAN, President Rouhani met with China’s President Xi Jinping in Tehran for talks on strengthening the relationship between the two nations. According to Rohani, economic ties between the two nations should generate up to $600 billion over the next 10 years. The Chinese president hailed the talks as the start of a “new chapter” in relations between China and Iran, indicating that both parties are satisfied with the outcome. President Xi Jinping also visited Saudi Arabia, where he met with Saudi king Salman bin Abdulaziz Al Saud to jointly inaugurate the Yanbu Aramco Sinopec Refining Company (YASREF) refinery in that country. This move by President Xi Jinping is widely seen as part of an effort to placate the Saudis and other Sunni leaders, upset by the China-Iran rapprochement. Even so, and as NEC-SE has been assorting for the past year, the political and economic winds in the region have clearly shifted in Iran’s favor. German truck manufacturer Daimler AG has signed an agreement to return to Iran, a move that will eventually result in the shutting down of the Daimler’s Mercedes plant in Turkey. Meanwhile, Spain is in discussions with Iran to construct an Iranian-owned oil refinery in the southern port city of Algeciras. The refinery would be the first of many joint business ventures between the two countries. Adding to Turkey’s current woes are the sanctions Russia placed on Turkish agricultural products after the shooting down of a Russian warplane in Turkish airspace. As if to add insult to injury, an Iranian official announced that Tehran had concluded a preliminary agreement with a Moscow-based wholesale company to supply fruits and vegetables to the Russian capital. Based on these and other similar developments in the Middle East, it is hard to avoid the conclusion that the Sunni states are dying as Shiite Iran rises. With the rest of the world providing the nails, Iran is hammering shut the coffin on the Sunni states. Which brings us to the issue of oil. Some have asked how Iran can sell oil for under 27 USD per barrel and still be courting business interests in Europe. The reality is that the sanctions imposed on Iran caused it to lose oil revenues because it was selling oil on plus and minus the 27 USD per barrel. It is possible that oil may drop to as low as 10 USD per barrel. In the past year many American oil and gas companies went bankrupt at higher prices. The ongoing oil and gas industry crisis is forcing more U.S. energy companies to their knees as a result of stubbornly low prices. Iran has a long-term view of (and approach to) the situation, based on its understanding that 2016 is optimal for entering the markets in order to start what is expected to be a 10-year effort to recoup the losses it suffered from lower oil prices. Curiously, although U.S. law does prohibit virtually all commerce with Iran and other so-called rogue nations, the ban does not apply to foreign and offshore subsidiaries of American companies run by non-Americans. Companies such G.E., Conoco-Phillips, and Halliburton have exploited this legal loophole accordingly to do business with Iran. American companies that do not take advantage of this loophole will remain shut out of Iranian markets at a time when those markets are opening up to other companies worldwide. Worse, in terms of future prospects, if American companies do not penetrate the Iranian markets now they will likely not have direct access to them for another 40 years. Instead, they will be forced to do business with Iran through through EU companies that will serve as the primaries for U.S footprint in the region. Major American companies had realized that this was a possibility going back to 2003 when they began expanding their footprint in northern Iraq. Most if not all of the companies that were operating in the Kurdish Regional areas of northern Iraq established relationships early and often with Iranian businessmen who traveled to the region for that purpose. The goal of these American businessmen was to strike deals with their Iranian counterparts that would to go into effect once the sanctions were lifted. Even Coca Cola’s main bottling plant in the KRG was set up as a stepping stone for Coca Cola to move its operations to Iran. Relocating to Iran will effectively remove Coca Cola operations from the Iraqi war zone and thus put them beyond the threat of attack by ISIS forces, which are active in the KRG administered areas of Iraq. Thus, unbeknownst to the Kurds, U.S. businesses had established themselves in the right position, in the KRG, to form an enduring relationship with Shite Iran at the detriment of Kurdish aspirations in the region. 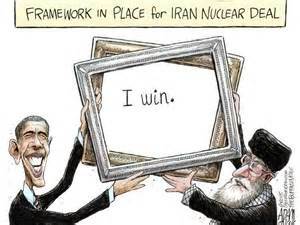 That being the case, it becomes obvious that the U.S. was not pressured by Tehran to broker a nuclear deal; rather, it was was pressured by Europe to make an economic deal with the Iranians. In other words: America stepped in to save the EU just as it saved Europe in World War I and World War II. The question that needs to be asked is why did President Obama and his administration spends so much time, effort, money, and political capital to save the EU nations at the expense of the U.S. economy. Perhaps the administration believes that the U.S. economy is strong enough that it does not need any help. Or, maybe, the president and his supporters are promulgating an ideological agenda to “transform” America by replacing its capitalist system with a system based on socialist models.